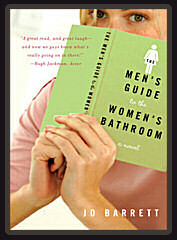 Jo Barrett | Author of "The Men's Guide to the Women's Bathroom"
Be True released to bookstores. 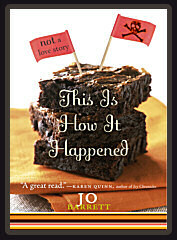 Welcome to the website of Jo Barrett, author of the acclaimed "The Men's Guide to the Women's Bathroom" and "This Is How It Happened (not a love story)". "The Men's Guide to the Women's Bathroom" has been optioned with actor Hugh Jackman's production company attached. 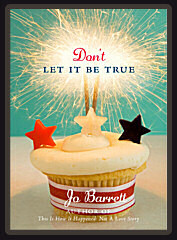 Ms. Barrett's third novel, "Don't Let It Be True" hits bookshelves March 10th 2009. Copyright © 2008-2019 Jo Barrett. All rights reserved.